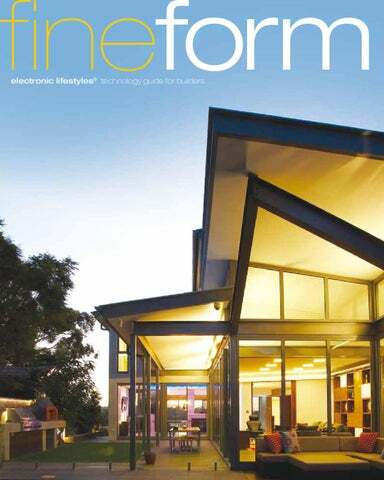 CEDIA Certified Members are electronic lifestyle professionals They make technology work. Simply and efficiently. f you’re a Builder, you’ll appreciate the need for synergy across a project. The ability to take a design from concept to hand-over may seem straightforward enough, however in reality your role is both complex and multifaceted to say the least. You consult with clients, decipher plans from architects and designers, translate to contractors, negotiate with suppliers, manage budgets, juggle time lines, all the while appeasing councils and dealing the unpredictable forces of nature. Perhaps “Jack-of-alltrades” would be a more apt title. management, a CEDIA Certified Member is your single point of contact for all of the technology within your project. A CEDIA Certified Member will take the risk out of dealing with several different contractors by delivering a single integrated solution. What does that mean for you? No buck-passing and less people to coordinate thereby reducing the chance of variances and unnecessary delays. In a word… accountability! So when it comes to technology, wouldn’t you like to partner with just one contractor who has the skills, business acumen and professionalism to deliver on budget and on time? They will consult with you or your clients, at your request, in a professional manner to deliver a customised solution that is feature-rich and user-friendly. This will result in the greatest level of enjoyment, tangible lifestyle benefits and value-for-money for the homeowner. And that means less call-backs and more referrals! If you are looking for a professional and accredited partner for your business, then look no further than a CEDIA Certified Member. Who is CEDIA? 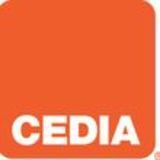 CEDIA is the Custom Electronic Design and Installation Association; an international industry body that provides training, accreditation and recognition for its members, ensuring they have the necessary skills and business acumen to deliver the highest quality and consistent level of work to their clients.